Ronald Drever, one of the architects behind the first detection of gravitational waves, has died aged 85. The Scottish physicist passed away peacefully in Edinburgh on Tuesday, following a short but rapid deterioration in his health. Prof Drever is credited with doing some of the key early experimental work. The sensing in 2015 of ripples in the fabric of space-time generated by merging black holes is seen as one of the major breakthroughs of our time. His family announced the death with a short statement late on Wednesday: "We are extremely proud of Ronald and his scientific achievements; he was unique and unconventional but very caring with a strong sense of humour. He will be sadly missed by us all." Ronald Drever's role in the detection of gravitational waves was recognised in a stream of awards last year, including the Gruber, Breakthrough and Kavli prizes. These honours were shared with co-workers and American citizens Rai Weiss and Kip Thorne. 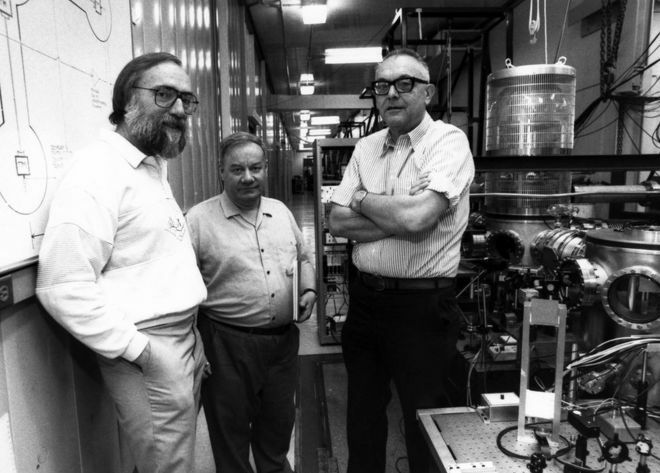 The trio drove the establishment in the US of the Laser Interferometer Gravitational Wave Observatory (LIGO). 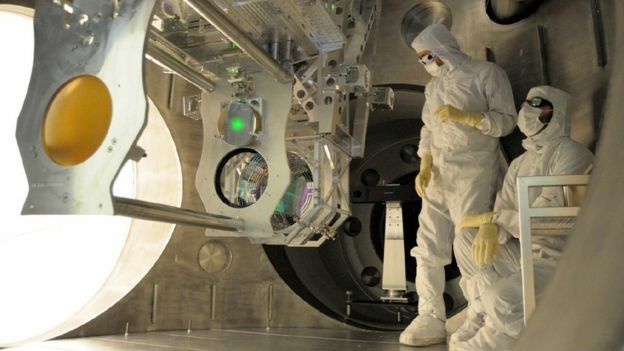 This institution, which has two labs in Washington State and Louisiana, has now made two separate detections of gravitational waves. James Hough worked as a student under Ronald Drever at Glasgow University. "His death is extremely sad - an end of an era," said Prof Hough. "He started the work in the UK on gravitational waves and then took his ideas across to Caltech where he built a 40m prototype laser interferometer. And I think without Ron, it would have been difficult for that initial proposal for LIGO to be funded." Gravitational waves are a fundamental consequence of Einstein's General Theory of Relativity. They describe the stretching and squeezing of space-time that occurs when massive objects accelerate. The signal is extremely subtle, however, even when truly colossal phenomena such as black holes are involved. Indeed, Einstein himself thought the effect would simply be too small to be registered by any technology he could envisage. But Drever, Weiss and Thorne pioneered the development of systems that would ultimately reach the required sensitivity. The LIGO labs bounce powerful beams of light down long vacuum tunnels to try to measure the passing waves' tiny disturbance. The aim is to identify deviations in the length of the experimental set-up equivalent to just fractions of the width of a hydrogen atom. 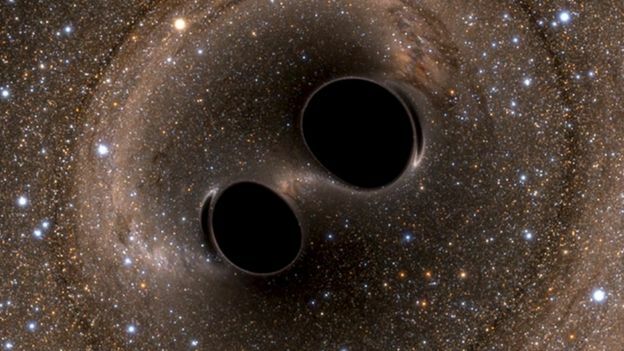 And on 14 September 2015, after several years' refinement and a major upgrade, LIGO finally succeeded in detecting the warping of space coming from the infall of two black holes each weighing about 30 times the mass of our Sun. A second detection of a slightly smaller merger was then subsequently made on 26 December.